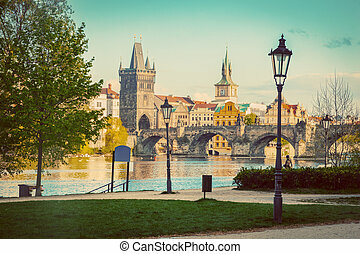 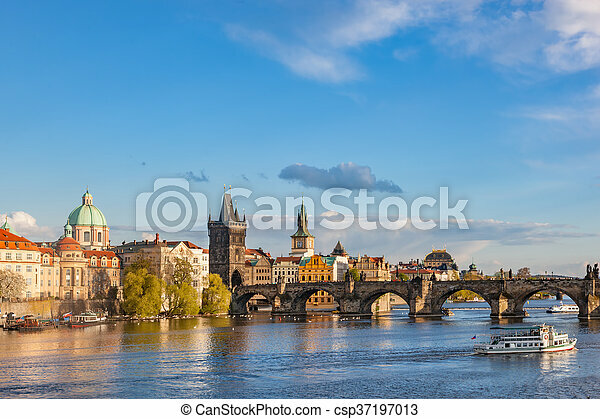 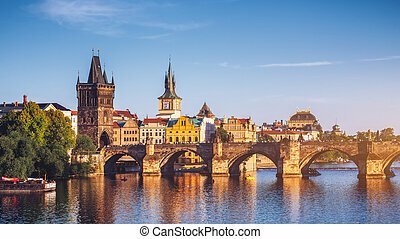 Prague, czech republic skyline with historic charles bridge and vltava river on sunny day. 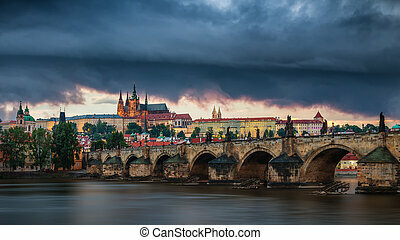 View of the Lesser Bridge Tower of Charles Bridge in Prague (Karluv Most) the Czech Republic. 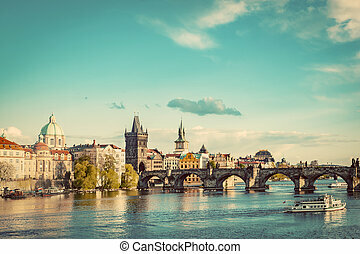 This bridge is the oldest in the city and a very popular tourist attraction.Filtered image: warm cross processed vintage effect. 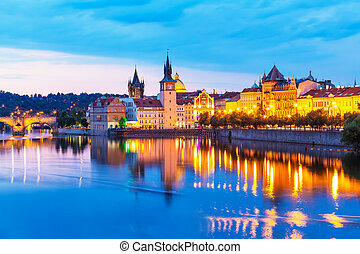 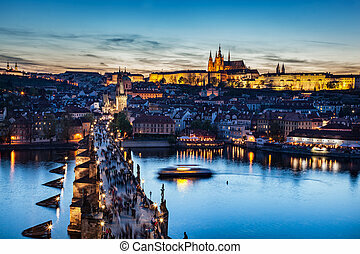 Panoramic image of Prague, capital city of Czech Republic, during twilight blue hour. 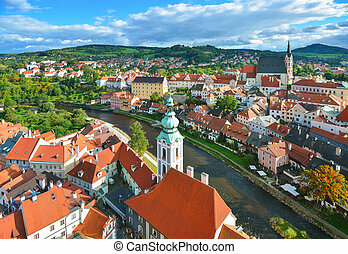 Czech Krumlov. 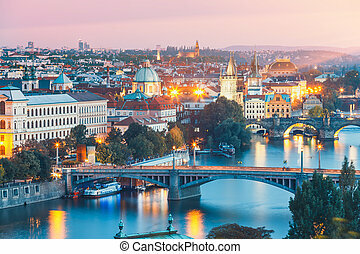 View from the tower Hradek. 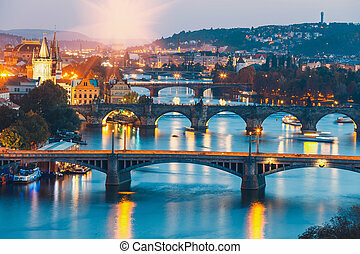 South Bohemian Region of the Czech Republic. 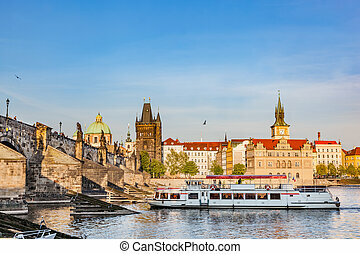 Cesky Crumlaw on the Vltava River. 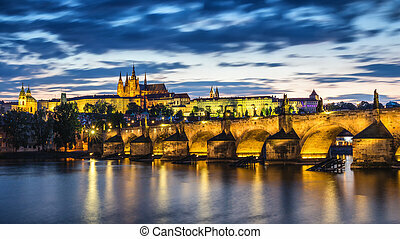 Prague, Czech Republic panorama with historic Charles Bridge. 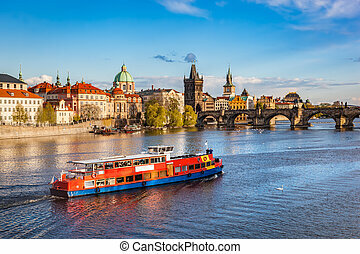 Boat cruise on Vltava river. 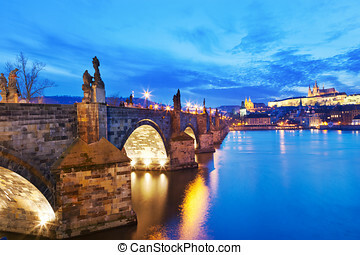 Charles Bridge on Vltava river in Prague, Czech Republic at sunset. 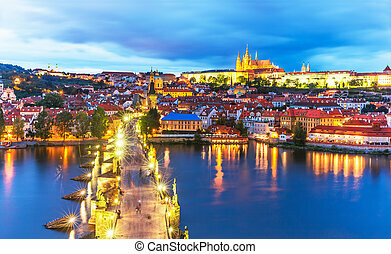 View on Prague Castle, Hradcany. 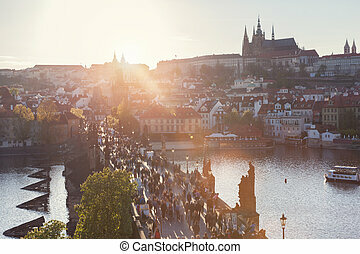 Sun flares. 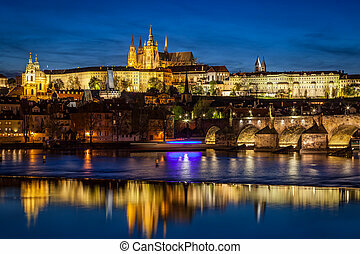 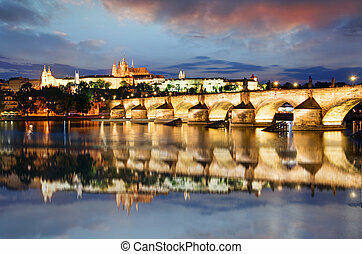 Prague Castle, Hradcany reflecting in Vltava river in Prague, Czech Republic at night. 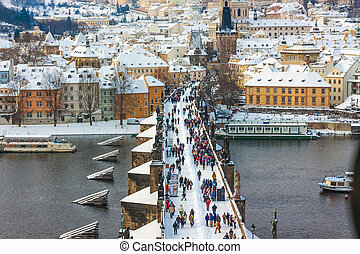 Charles Bridge to the right. 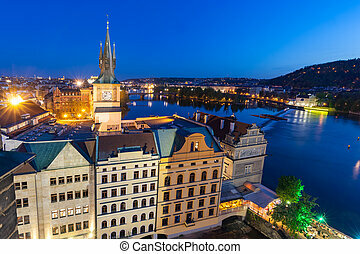 Old Town Water Tower - Staromestska Vodarna in Prague, Czech Republic. 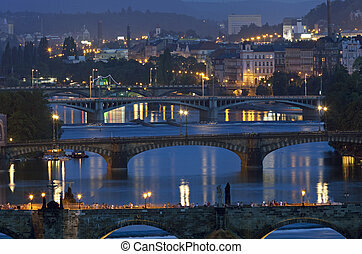 Vltava river at night as seen from the Charles Bridge tower.